All authors must declare they have read and agreed to the content of the submitted article and are responsible for the validity and originality of data contained therein. Authors are required to declare any competing financial or other interest in relation to their work. All competing interests that are declared will be listed at the end of published articles. Where an author gives no competing interests, the listing will be ignored meaning the author do not have any competing interest. Plagiarism in any form constitutes a serious violation of the most basic principles of scholarship and cannot be tolerated. The use of a particularly unique term or concept that one has come across in reading without acknowledging the author or source. The paraphrasing or abbreviated restatement of someone else's ideas without acknowledging that another person's text has been the basis for the paraphrasing. False citation: material should not be attributed to a source from which it has not been obtained. For articles which require changes, the same reviewers may be used to ensure that the quality of the revised article is acceptable. On the basis of their critical remarks; the Editor-in-Chief decides to return the manuscript to the author within two (2) weeks for revision with specified reviewer’s critical remarks or to reject it. As a rule, the receipt of the manuscript by the Editorial Office, the outcome of the reviewing, and the acceptation of the manuscript are communicated to the author. All the communication between the Editorial Office and the author is realized via e-mail. The manuscript is accepted either immediately following the reviewing or after acceptable revision as it is the goal of the journal to publish manuscripts within four (4) weeks after submission. The Editor in Chief reserves the right to refuse any article, and to make suggestions and/or modifications before publication. The galley proofs of the manuscript are sent to the author in PDF format. After checking and correcting they should be returned within 48 hours. Finally, the article in PDF format exactly matching the printed version is sent to the author. The publishers shall not be held responsible for errors which are the result of authors' oversights. The submission file must be in MS Word format. Please read and follow these instructions carefully; doing so will ensure that the publication of your manuscript is dealt with speedily and efficiently. The Publisher has the sole right to return manuscripts that are not prepared in accordance with these instructions. An electronic copy containing manuscript in Microsoft Word only should be submitted to the editorial office along with a cover letter, which should include the corresponding author's full address and telephone numbers and should be in an e-mail message sent to the Editor, with the file, whose name should begin with the first author's surname, as an attachment. Receipt of all articles will be acknowledged. All contributions must be submitted in English. 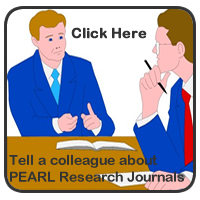 A manuscript number will be e-mailed to the corresponding author same day or within 48 hours. All submitted original research articles, essay, reviews or short communications will be reviewed by specialists in the respective fields. It is our goal to publish manuscripts within 4 weeks after submission. Papers will be published in the next issue of the journal after acceptance. Submission of an article implies that the work described must be original and has not been published previously (except in the form of an abstract or as part of a published lecture or academic thesis or as an electronic preprint), that it is not under consideration for publication elsewhere, and that, if accepted, it will not be published elsewhere including electronically in the same form, in English or in any other language, except the copyright-holder’s permission must have been obtained prior to submission. Regular articles: These are complete descriptions of current original research findings, and experimental procedures should be given in sufficient detail for others to verify the work. The length of a full paper should be between five and twenty pages. Short Communications: A Short Communication is a concise, but independent report suitable for recording the results of complete small investigations including the reporting of additional controls and confirmatory results in other settings, as well as negative results. The style of main sections need not conform to that of full-length papers. Short communications are 2 to 3 printed pages (about 6 to 9 manuscript pages) in length. All manuscripts must be clearly written in English. It should be typed double-spaced in Microsoft word, with pages numbered consecutively starting from the title page, using Arial or Times New Roman text font. Title page should start with the type of manuscript (Research, Review Article, Short Communications, etc). This should be concise, short, specific and explain the nature of the work. The names of all authors (first name, middle initial, last name) including their departmental and institutional addresses should also be included. The name of the corresponding author along with phone, fax and E-mail should be provided. An asterisk (*) should be added to the right of the corresponding author’s name. His or her affiliation should be indicated by superscripts 1, 2, 3,…… placed after each author’s name and before each affiliation. The abstract must be a single unstructured paragraph of no more than 200 words describing the scope, hypothesis or rationale for the work and the main findings. Abstract should be written in the past tense and presented without subheadings. No reference should be cited in this section. Immediately after the abstract, about 4-7 key words should be provided, which will be used for indexing purposes. Key words should be separated by commas and words from title should avoid repeating as key words. Abbreviations that are non-standard should be clearly defined in this field to be placed on the first page of the article. Such abbreviations must be defined at their first mention. Consistency of abbreviations should be ensured throughout the article. Footnotes and Endnotes should be properly numbered to ensure uniformity. Introduction should be short and precise. It should describe the basic principles of research, earlier background work and the aim of the present study. Hypothesis to be tested should be specified. Summary of the results should be avoided. Extensive discussion of relevant literature should be included in the discussion section. Only new techniques and modifications to known methods need to be described in detail. Methods already published should be indicated by a reference. Include the name, postal town, code and country of the supplier or manufacturer of any chemical or apparatus not in common use. Appropriate statistical methods should be used and indicate the probability level (P) at which differences were considered significant. If data are presented in the text, state what they represent (e.g. means ± SEM). Indicate whether data were transformed before analysis. Specify any statistical computer programs used. Results should be clear and concise using tables or figures when feasible. The text should elaborate on the tabular data. It should be written in the past tense when describing findings in the authors' experiments. Sufficient data with some index of variation attached should be presented for proper interpretation of the results of the experiment. Discussion should be able to interpret the results clearly and concisely in relation to previous findings, whether in support, against, or simply as added data to provide the reader with a broad base on which to accept or reject the hypotheses tested. A combined Results and Discussion section is often appropriate. The significant or unique findings should be highlighted in this section. Its content should not substantially duplicate the abstract. Recommendation might be given. The Acknowledgments of people, grants, funding agency, etc should be brief. Johnson (2004) has shown that ... This is in agreement in line with results obtained by several authors (Scholes, 1995; Alex, 1997; Nelson, 1998). Smith and Giggs (2000) reported that... This was later found to be incorrect (Khan and Rahman, 2002). Samule et al. (1999) stated that... Similar results were reported recently (Smith et al., 2003). Johnson AS, Khan AG, Akin SA, Chatterbee MA, Andrew KA, Cynthia TS (2009). Oxygen transfer effects on recombinant benzaldehyde lyase production. Biochem. Biotechnol. Res. 1:115. Hernández-Herrero MM, Duflos G, Malle P, Bouquelet S (2003). Collagenase activity and protein hydrolysis as related to spoilage of iced cod (Gadus morhua). Food Res. Inter. 36(2):141-147. Nelson Z, 1999. Analysis and Modeling of Digital Systems. 3rd Ed. McGraw Hill, New York. pp: 632. Cole MJ, John LT and Stephen A, 2009. Biochemistry. 5th Ed. W.H. Freeman, New York. pp.580. Khan HA, 1996. Computer-Aided Design Databases. In: New Directions for Database Systems, Ariav G and Clifford J, (Eds. ), Intellect Books, Norwood, NJ, pp: 110-123. Ashie INA and Lanier TC, 2000. Transglutaminases in Seafood Processing. In: Seafood Enzymes Utilization and Influence on Postharvest Seafood Quality, Haard NF and Simpson BK (Eds. ), Marcel Dekker Inc, New York, NY, pp: 271-275. Magott J, Skudlarski K, 1989. Combining Generalized Stochastic Petri Nets and PERT Networks For The Performance Evaluation Of Concurrent Processes. Proceedings of the 3rd International Workshop on Petri Nets and Performance Models, Dec. 11-13, IEEE Xplore Press, Japan, pp: 249-256. Baird-Parker AC, Baillie MAH, 1974. The Inhibition of Clostridium botulinum by Nitrite and Sodium Chloride. Proceedings of the International Symposium on Nitrite in Meat Products, Sep.10-14, Zeist, the Netherlands, pp: 268. Government Publications (Some will still have specific authors – find them if you can) Forastieri V, 1999. The ILO Programme for Occupational Safety and Health in Agriculture. International Labour Organization, Geneva, Switzerland. Sheng TC, 1989. Soil Conservation for Small Farmers in the Humid Tropics. FAO Soils Bulletin No. 60. Food and Agriculture Organization of the United Nations. Rome, Italy. Abayomi SA, 2005. Fate of plant pathogens and pesticides during composting of greenhouse tomato plant residues. Unpublished dissertation in partial fulfillment of the requirements for the degree of Doctor of Philosophy, Dalhousie University, Halifax, Nova Scotia, Canada. A self explanatory caption of all tables and figures should be provided. Tables and Figures should be numbered consecutively in accordance with their appearance in the text. X- and Y- axes of figures should be labeled. Arabic numbers should be used for all compound numbers, figures and tables (e.g Figure 1 and Table 1). All tables and figures should be clearly explained and cited in the text. Each column of the table must have a heading. The same data should not be presented in both table and graph form or Information given in legends should not be repeated in the text. Images should be manipulated as little as possible, so as to avoid losing resolution, and always accompany your submission with original format of the file before exporting to other formats such as JPG, JPEG, PNG, TIFF. All figures should be pasted in Microsoft Word manuscript file. Tables should not be drawn from shape lines but should be inserted. Full stops, but not commas, should be used as decimal points. It is used to provide readers with numerical examples or give extensive detail of analytical procedure. Give the scientific names (with authority) for plants, animals, microorganisms, with generic names in full at the first mention, e.g. Escherichia coli. Thereafter, abbreviate them in the text, e.g. E coli; give them in full (without authority) in the headings of sections, tables, figures and key words. Where appropriate, cultivars should be specified and should be in italics. All manuscripts will undergo some editorial modification, so it is important to check proofs carefully. PDF page proofs will be sent via e-mail to the corresponding author for checking. To avoid delays in publication, proofs should be checked and returned within 48 hours. Corrections should be returned by annotated PDF or e-mail. Extensive changes to the text may be charged to the author. 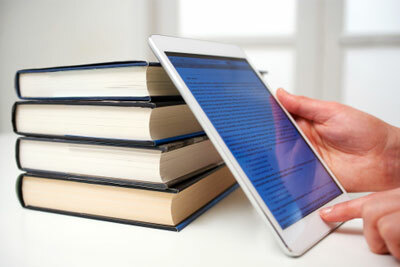 Authors can freely download the PDF file from which they can print unlimited copies of their articles.